1) The readings should only be used as a tool to understand some basic concepts, to then go straight to the problems. The summaries are very important and those concepts+formulas from the summaries should be ingrained into your mind. About 30-60% of the reading material is unnecessary, it goes into a lot of depth that is not needed. Don’t waste time re-reading the textbook unless it is to help you memorize or understand a certain formula or concept from a problem. At least 50% of your time should be dedicated to working on problems. 2) EOCs and CFA Institute’s Online practice problems (PPs). I made flashcards from EOCs and Online PPs and did them dozens of times. I had a total of about 500 flashcards of these problems. It is imperative to have the EOCs memorized, then do the online PPs 5-8 times, spread out between weeks. Memorizing these formulas+concepts is a lot like practicing a musical instrument or sport. You start out practicing the hard areas and doing “drills” (flashcards) slowly everyday, then as you get better and faster you add more work to the pile. If you mess up, start again from the hard spots, then gradually add more as you progress. 3) Memorizing formulas. Do it. Use flashcards, practice 1 set of flashcards everyday for 2-3 weeks, daily, then revisit. When I memorize a formula, I write it down 20 times from scratch for the first time. Then I keep revisiting it between other cards for 1-3 hours daily. Then I Then I keep revisiting a few of these small packs (10-50 cards) daily. After that, move onto other flashcard packs. Only focus on formulas from EOCs, some Blue boxes, and Online PPs. The online PPs in my opinion, are most similar, but not identical to the test. When you make flashcards, don’t include a plethora of information that its too difficult for you to recite it back from memory. Try to keep it as simple as possible while yet fulfilling the CFAI’s expectations. My trick was, if its longer than 7-9 lines, or 3-4 sentences on my flashcard, then it was too complicated. 4) Practice tests. I used AdaptPrep’s practice tests and CFAI’s practice tests. I did about 8 practice tests before the exam. It is important to score about 90%+ on 3rd party, but 75% (ideally 80%+) on the CFAI’s practice tests. 5) Ethics. Don’t waste too much time reading the textbook for ethics, just do the EOC and online problems over and over and over again. Understand the nuances and even make a chart or study guide for it. For example, when is it appropriate to accept a gift and from who? Is it lavish? Understanding these nuanced “moral dilemmas” is critical. I did CFAI’s ethics online PPs about 8 times and got 90th+ percentile on it. Ethics is extremely nuanced and has lots of tricks so don’t underestimate it. As you do the problems over and over you get used to their tricks and then you develop an unique intuition that is usually counter-intuitive for most other people who underestimate this section. thank you for this. Quick question. How did you feel after writing the second time when you walked out of the exam room? I failed L1, then took more or less your approach above but still felt relatively uncomfortable after writing, being unsure of many q’s specially in the afternoon session of the exam. I felt as if I barely passed when I took it the second time. Results then came in and it turned out I did very well. 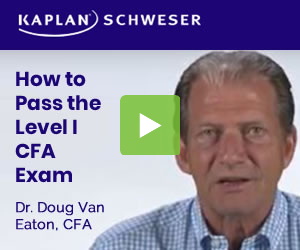 If you memorized the formulas and thoroughly practiced the CFA Institute’s problems and practice tests, you should be good. Did you also memorize the formulas that a financial calculator can calculate like annuities and stuff or just the stuff that you have to do by hand? I’m just curious because one of my friends said to memorize those formulas as well, but I’m thinking that if my calculator can handle it, why should I memorize it? Sorry for reviving an old topic, but if you can do it on a financial calculator (annuities, NPV, PV, etc.) instead of memorizing it and doing it by hand, that is ideal. There’s just not enough time on the test to do every single time value of money problem by hand. Also, be sure to get the BAII Plus Professional. I thought it was not needed and that the BAII Plus was sufficient, but the Professional can do a few additional problems much more quickly (Discounted payback, etc.) and it saved quite a bit of time on the exam. So yes, be sure to do as much as you can with the calculator instead of memorizing the time value of money formulas. In short, attitude matters more than aptitude. Yes, but its not just attitude. It is also strategy. Working hard is only as useful as it is aimed towards working for efficacy, and not simply running your wheels and getting nowhere. I failed L1 at first because I spent too much time reading and trying to understand everything before doing problems vs. doing problems and memorizing formulas + concepts. We’re talking about 500 hours wasted. The second time around I didn’t open a textbook at all. Did hundreds of problems, formulas, flashcards, over and over until it became like second nature. The majority of the textbook reading is simply useless and not relevant for learning how to actually test for the exam and pass. Just do CFA Institute EOC and online problems, formulas, over and over and over. Flashcards are key. Second time around I only spent about 450 hours studying but tested much better on practice exams and the real test. So 950 hrs total spent. So much for the 300 hours bull**** that gets passed around on here and by prep providers. So you’re saying that the 300h rule is bul! **** just because you had to study more than that? It doesnt matter if you can pass level I whilst being a non-genuis.. What matters is passing all three levels whilst being a non-genuius. Otherwise, the path is meaningless and you become a statistic of CFA: One of many that went through the journal but eventually dropped out. Not knocking anything, but you have to go ALL THE WAY! Hey friends, sorry to revive this as well but I figure I’d share my thoughts. To be honest, I don’t think studying for these exams requires any level of being a genius. Personally I don’t think I am (using my piss-poor university gpa as a benchmark for “Genius” levels), and somehow I got through 1 and 2 first try, but I do think I have the work ethic to overstudy efficiently. What I mean by this is none of the material on these tests are independently hard and I’m sure most would agree, but if you can clock enough hours while constantly re-evaluating your understanding of all of the LOS’s as a whole, you can target your weak areas and use excessive time to do so. Just stop thinking about how many hours you’re studying and overstudy like crazy, make sure you genuinely know what the LOS is asking for, and come test day there will be no surprises whatsoever (and as most would say, it is easier than expected). Its better to study 450 hours once that 300 hours twice, so try hard and pass. Disclaimer for everyone above about OP’s personal study method, as yours should involve doing whatever you can to efficiently understand all LOS’s in the books; everything outside that is a wasted portion of your overstudying. Hope this helps and if anyone has any random questions or needs advise please feel free to reach out. Oh and also with regards to ethics studying, make sure to exhaust all of your resources for practice questions. I agree that just mashing out questions is the best way to really do well in ethics, but there comes the point where you do so many that you barely have to read the question to know the answer. Eventually, come test time, different people write the questions and you realize you know how to answer only certainly worded questions and aren’t able to adapt to different ones altogether.